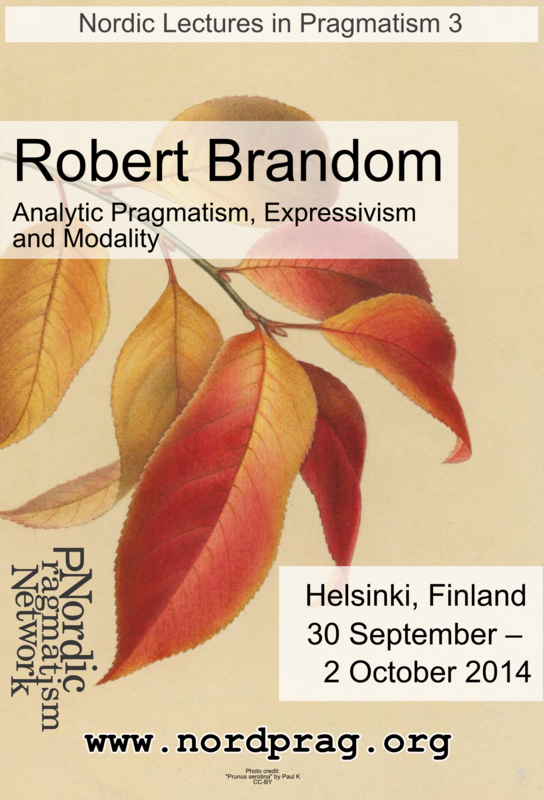 Robert Brandom’s work aims to reconceive and renew pragmatist thought by on the one hand reconnecting it with its roots in the German Idealist tradition, and on the other hand synthesizing it with analytic philosophy of language, epistemology, and metaphysics. These lectures provide an overview of how he proposes to do that. A central figure in this reconceptualization of pragmatism and its history is the brilliant and notoriously difficult mid-century American philosopher Wilfrid Sellars. Brandom explains how Sellars’s ideas can form the basis for contemporary analytic pragmatist rethinkings of the Kantian idea of categories, the significance of modal vocabulary, and the metaphysics of universals. The lectures are drawn from Brandom’s most recent books Perspectives on Pragmatism: Classical, Recent, and Contemporary [Harvard University Press, 2011] and From Empiricism to Expressivism: Brandom Reads Sellars (Harvard University Press, forthcoming in 2014). Robert Brandom is Distinguished Professor of Philosophy at the University of Pittsburgh. He is a fellow of the American Academy of Arts and Sciences, and the recipient of an A.W. Mellon Foundation Distinguished Achievement in the Humanities Award. He has delivered the John Locke lectures at Oxford (published as Between Saying and Doing: Towards an Analytic Pragmatism [Oxford University Press, 2008]), the Hempel lectures at Princeton, the Townsend lectures at Berkeley, and the Woodbridge lectures at Columbia. He has held visiting fellowships at All Souls College Oxford and the Center for Advanced Study in the Behavioral Sciences at Stanford, and was Leibniz Professor at the University of Leipzig. He is the author of twelve books, including Making It Explicit (Harvard University Press, 1994), which have been translated into many languages. Participants from other universities are required to enroll to the course by sending an email to info@nordprag.org by 15 September 2014. Students from the University of Helsinki are encouraged to inquire about completing the course to receive credits from their departments. N.B. The corridor leading to lecture room 136 will be locked after beginning of the lecture and timely arrival is required. The event is organized by the Nordic Pragmatism Network and sponsored by the Helsinki Collegium for Advanced Studies, the research project Representationalism or Anti-representationalism? (NTNU) with funding from the Norwegian Research Council and the research project Pragmatic Objectivity, with funding from the Helsingin Sanomat Foundation and the University of Helsinki.